We were recently asked by Attraction Tickets Direct what were our Top Rides at Universal Orlando. We discussed over dinner, at the Modernlifeis good house, what each of our favorite rides was, and there was plenty of debate. There was some duplication in our list, but eventually we all came up with 1 attraction we could claim was our top Attraction at Universal Orlando. 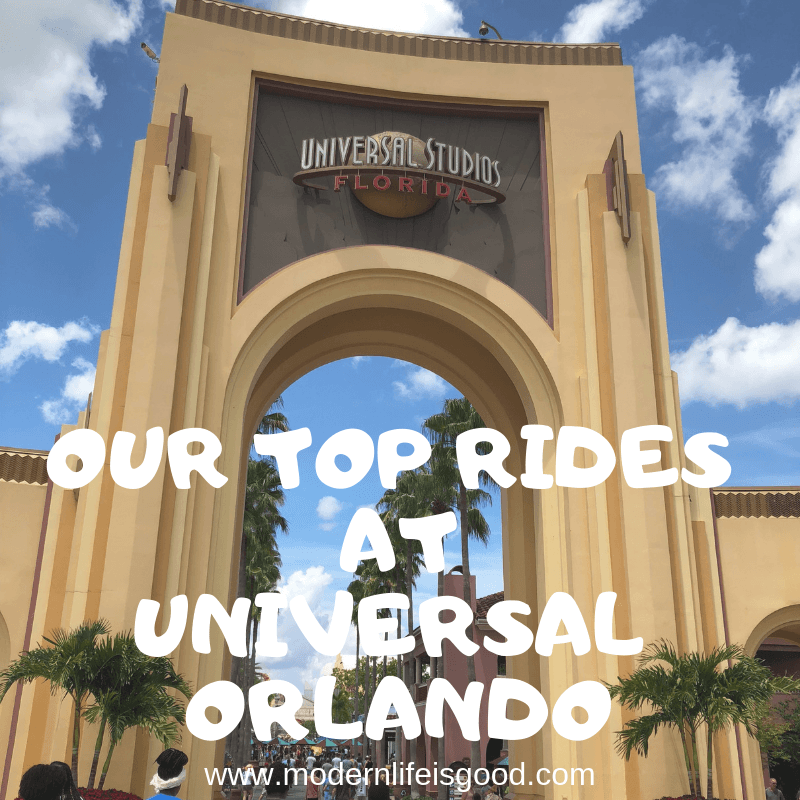 Men in Black was Mrs Modernlifeisgood’s choice for her top ride at Universal Orlando. The ride is a fun family experience where you get to shoot aliens in the middle of New York City. The whole family can compete and attempt to be the highest scorer. There is a skill to this attraction, and apart from Mrs Modernlifeisgood, we are all rubbish at it. 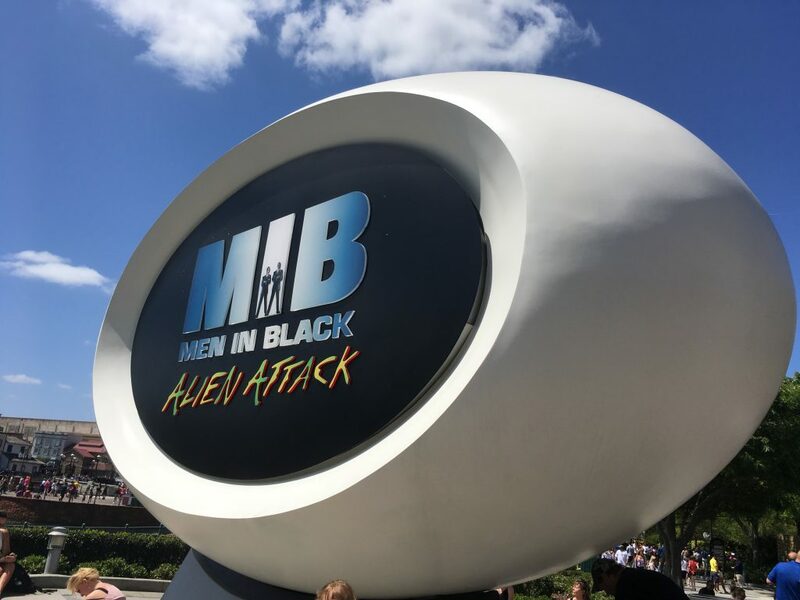 Men in Black: Alien Attack is strangely addictive and is great family fun. Must be at least 42” (107cm) to ride. Mrs Modernlifeisgood’s big scoring tip is to listen carefully when you should press the red button! You must be at least 42” (107cm) to ride. The second ride in our list is also at Universal Studios Florida. This time it is Harry Potter and the Escape from Gringotts which is Little Miss Modernlifeisgood’s (Age 8) favorite. The ride is located at The Wizarding World of Harry Potter – Diagon Alley. Harry Potter and the Escape from Gringotts is an amazing 4D coaster but perhaps the highlight is walking through Gringotts itself. A fire-breathing dragon sits atop the building and inside you will meet the incredibly realistic goblin bank clerks. There are various other stunning pre-shows you will encounter in a likely length wait. However, the lengthy wait is worth it. Half coaster and half 3-D simulator this is a stunning ride as you encounter the villains from the Harry Potter Universe while you explore the depths of the vault. The Minimum Height for this ride is 42”/106cm. We were surprised Little Miss Modernlifeisgood chose this ride as it perhaps is a little scary for small children. However, she informs us she loves it! Our next selection is at Islands of Adventure, and the original star attraction of the Wizarding World of Harry Potter. 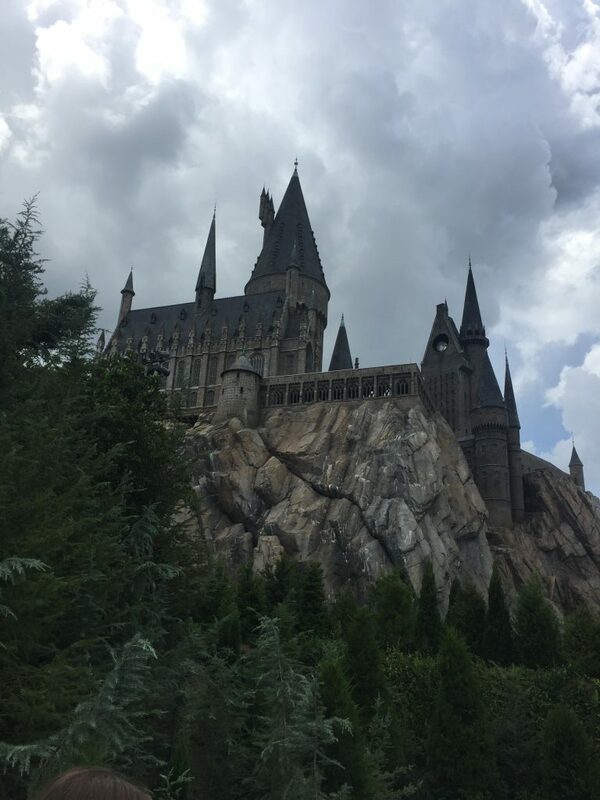 Harry Potter and the Forbidden Journey was Miss Modernlifeisgood’s (age 15) choice. You really do feel like you are flying into the World of Harry Potter. The ride is fantastic fun and is one of the best attractions anywhere in the world. Even non-Harry Potter fans will love the experience. However, guests who suffer from motion sickness might want to give this one a miss. You must must be 48” (122cm) to ride. The Amazing Adventures of Spider-Man was my choice, and in my opinion it is the best ride at Universal Orlando. There might have been more expensive additions to Universal in recent years, but this still is the top of my list of must-do attractions. 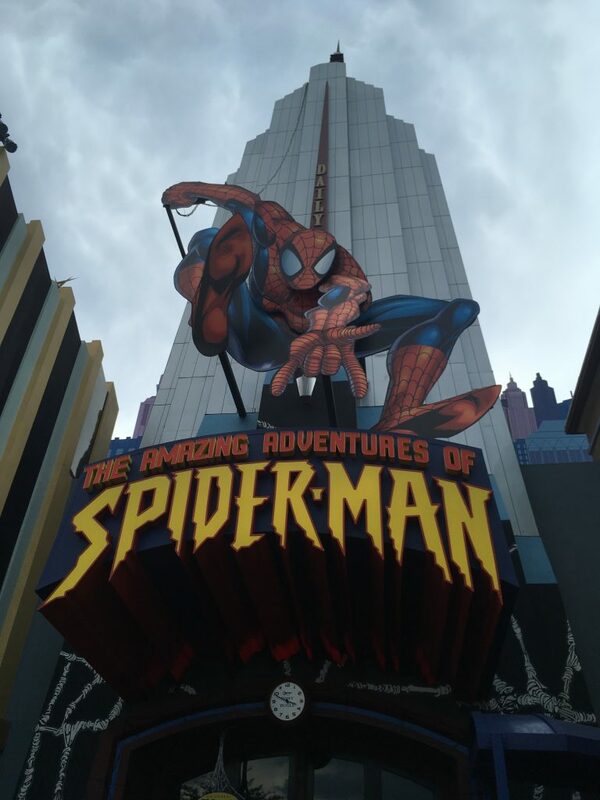 I loved The Amazing Adventures of Spider-Man when I first rode it 20 years ago on my first visit to Islands of Adventure. On my first visit, it was the clear stand out attraction. The effects are stunning, and the ride really makes you feel part of the movie. It is still top of my list whenever I visit. What is your favorite attraction at Universal Orlando? Do you think we missed something from our list? Leave a comment below on what your Top Rides at Universal Orlando are. 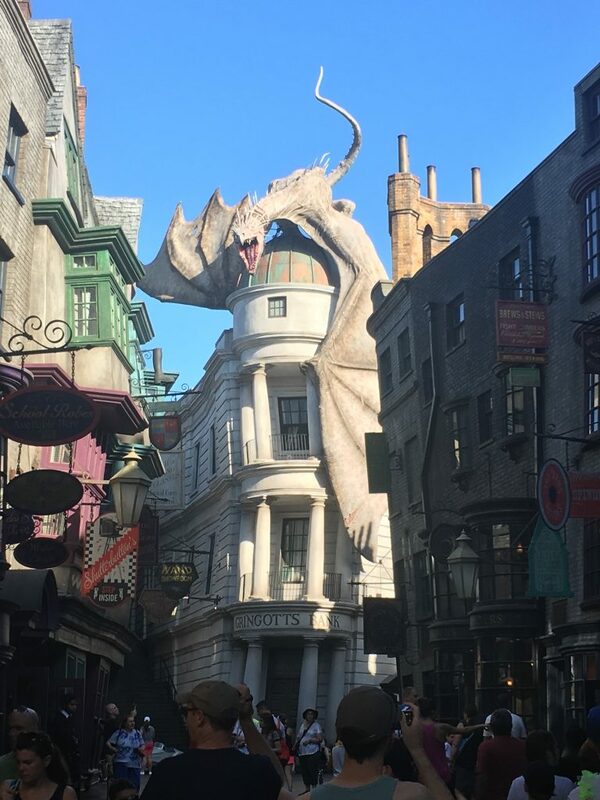 If you are planning on visiting in 2019 our Guide to Universal Orlando is great resource to plan your vacation.